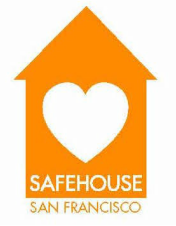 ​All of the women who enter SafeHouse have experienced sexual exploitation at the hands of a trafficker or abuser. For many, it is dangerous and difficult to leave this situation-- the road to SafeHouse is not an easy one. Accessing safe and confidential housing through SafeHouse gives women the foundation needed to work toward healing and independence. The women we serve are often victims of multiple marginalizations due to factors like gender identity, race and disability, and have traditionally faced barriers to getting services. Many have experienced trauma, have histories of substance use or may need mental health support. 100% were engaged in a range of programming offered by SafeHouse, including individual case management, support groups, physical health classes, financial literacy workshops and more.